PlayStation Home is in the middle of one of their biggest content updates ever, and the North American release of the Japanese Siren: Blood Curse space plays a major part. It's a big week for PlayStation Home. They're giving away Patapon 2 t-shirts on Thursday; they're adding a living room stage set perfect for machinima; and now they've brought the chilling Siren 2: Blood Curse home space over from Japan. The Siren space consists of three areas. A run-down circus serves as your entry point into the space, from which you can move to the Ward of Despair mini-game lobby, with the third section being the game itself. The Ward of Despair is a mini-game for up to five players, set in the Saiga Hospital stage from the downloadable PlayStation Network game. each given a task to complete within five minutes. If all players manage to complete their tasks without being taken out by zombies they receive creepy costumes as a reward. You'll want to score these rewards before May 12th, which is when the Siren: Horror Bowl Tournament takes place. Players who show up to the event in their Siren costumes will qualify for a chance to win the first four episodes of the PSN game. 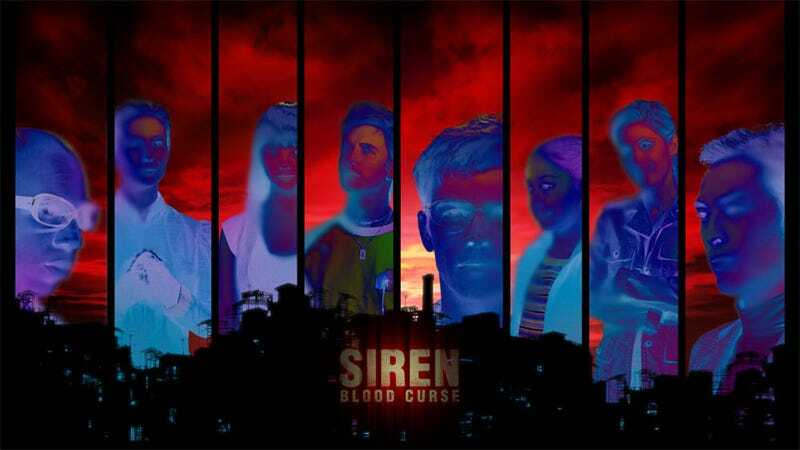 Note that the Siren: Blood Curse space is only coming to North America at the moment, with a European release planned somewhere down the line. The PlayStation Blog post announcing all of this new content also hints at upcoming Tekken 6 costumes and Killzone 2 t-shirts to stand around in. I'm really glad to see so much happening in Home these days. I don't think they've come close to tapping its full potential yet, but Sony is definitely making headway.